My manager has asked me “to think if this is really the right job for me.” What she is saying is that she doesn’t think it is the right job for me, and this isn’t the first time she has asked this question. I don’t think it is, but I certainly don’t want to talk her into letting me go. I have been looking for another job, and would love to move from my current situation. That said, I need to stay working until I find something else. My current manager is very involved in my day to day work, so seeking work elsewhere isn’t the easiest thing to make time for. What is the right way to answer her? When your manager is asking you to think about whether this is the right job for you, it’s a big warning sign that your job is in jeopardy. That means that it’s pretty urgent that you find time to job search, even though it’s hard to do that — because statements like your manager’s are the writing on the wall that your time there might be coming to an end, and it’s nearly always easier to find a job while you’re still employed than afterwards. As for what to do now, with some managers you could be honest, say that it’s not the job for you, and agree on a transition period (during which you could job search while still being employed). With plenty of other managers, though, acknowledging that the job isn’t for you could mean that you’ll be out of there within a couple of weeks, if not less. So you’ve got to know who you’re dealing with here. If it’s the latter, your best bet is probably to say something like, “While it hasn’t come as naturally to me as I’d like, I want to do this work and I’m committed to meeting your expectations” and then work to show that you’re doing that — while simultaneously speeding up your job search in case that doesn’t work out. 2. How should I fill our daily required meetings? We are required by our organization to have daily meetings that are to last no more than 15 minutes, following the Lean process. We are to review any new Just Do Its that have been submitted and follow up on old ones. We have 9 people in my department and we are average about 4 Just Do It’s a month. This doesn’t leave us much to talk about. We’ve adopted our own format which is really just open to discussion, if anyone has anything to talk about. Some days we get into great discussions about an issue someone is having, or putting together a team-building exercise. Other days, nothing. We have certain people who never speak up, and others who always do. I’m trying to find a way to make this more engaging and somehow get everyone to play a role. We assigned a Safety position to one team member, but he never brings anything up. Our Analyst talks about system issues, and he does well. But the rest of them are bumps on a log. I try being lively and engaging, but I think they look at me like I’m just crazy and pray for the end of the meeting. I tried making everyone rotate who leads the meeting; they half-heartedly went through the motions until it was over. I thought about developing roles and throwing them into a hat. Each month you get a new role and you report on “something” at the meeting related to your role…I think they would all hate me if I did that, though. Yeah, this is what happens when you have meetings for meetings’ sake, rather than because there are specific things that need to be talked about. I’m not at all surprised that you’re finding that some days you have nothing to talk about if you’re having meetings just because you’re being required to. Rather than trying to find a way to fill time, why not push back on whoever imposed this requirement and either explain that it’s wasting people’s time or get advice on how to make the time do what it’s intended for? If that doesn’t work, don’t resort to making up things for people to talk about — convene, see if anyone has anything for discussion, and if they don’t, adjourn the meeting and let people get back to work. Last Wednesday, my wife and I closed on a house. As with all home-buying experiences, this one had some hiccups. Unfortunately, our agent was far less adept at navigating these hiccups than we would have hoped. Without going into all the details, there were issues from paperwork mishaps to the fact that he effectively showed what cards we held during each negotiation. How did we end up with such an agent? We’d known him professionally for almost two years, and used him a couple times in signing rental leases (a common practice in our metro area) before finally buying a home. He is very friendly and has a great eye for properties and for what we really valued in properties. For straightfoward rental contracts, he was great. We would just never use him again for a homebuying transaction (which for context is his main line of work in real estate, aside a few random rentals like our previous ones). Despite the hiccups, we closed and he got us a nice engraved butcher-block cutting board as a housewarming gift. He also sent us a link to rate him as an agent on a popular reviewing site. This requires ratings for different metrics, including things like negotiation. We feel bad not leaving a review after his personal request, but we would not recommend him as a homebuying agent. Unlike saying a job candidate has excellent penmanship (and conveying he may not be a great fit), talking up our agent’s good qualities is at best infelicitous. These are good qualities for an agent, but not compared to the legal and administrative work in actually negotiating and executing the contract to purchase a home. Since this is effectively how he gets professional feedback, what should one do? Have a frank–and awkward, and undoubtedly relationship-breaking–conversation with him on how we’d rate him (just not do it online)? Rate him honestly but perhaps while still being a little charitable? As additional context, while he’s been in the business nearly 20 years, he is just getting his online presence up-to-date. As such, he only has a couple reviews online. In all honesty, I’m afraid even a charitable portrayal would likely undermine his ratings. Any suggestions? I don’t think you’re obligated to tell you him your concerns about his performance if that’s a conversation you don’t feel like having. He’s not an employee, where you’d have an obligation to provide candid feedback and professional development. How about just ignoring the request? Plenty of people aren’t online reviewers, and receiving the request doesn’t obligate you to fulfill it. If he follows up with you about it again and you feel like you can’t continue ignoring it without being rude, at that point you could either fall back on a white lie (“we’re not big online reviewers”) or bite the bullet and nicely tell him why (for instance, “to be honest, we loved working with you on rentals but were a little dismayed by XYZ in the house purchase — and I think it’s the house-buying work that you’re looking for the review on”). I started a new job and have a supervisor with an Indian accent who I have difficulty understanding. I am hearing impaired, which exacerbates the situation, especially when I ask her to repeat something multiple times. I feel frustrated in these situations, and she probably does too. When she repeats things, she says them faster, which doesn’t help either. She is aware of my hearing loss but not of my trouble with her accent. I don’t know if I should bring this up. I feel odd doing so. “I’m so sorry, my hearing doesn’t handle accents well. It’s nothing on your side, but it will help me hear if you can slow down.” Say this nicely and even a little apologetically, so that it’s clear you’re not just being a pain about talking to someone with an accent. 5. Do I have to be paid for my notice period if my employer tells me to leave immediately? I have heard before that if I give the proper two-week notice and my employer asks me to leave immediately, they have to pay me no matter what for those two weeks. Is this true? No, that’s not true. They don’t have to pay you for any time you didn’t work, even if they tell you to leave sooner than the ending date you offered. However, in most states, you could collect unemployment for those two weeks (because even though you resigned, which would normally make you ineligible, those two weeks without pay were involuntary). Unemployment is usually significantly less than your paycheck would be, but it’s something. The last tip is the most useful, I think. The more you hear an accent, the easier it is to understand. Indian accents sound really clear to me because I hear them all the time, but a Southern American accent (which I hardly ever hear) is insanely challenging to figure out. Glasgow is hard even for a native English speaker! I was once in a cab with a Glaswegian driver who went on at some length about how Americans were much friendlier than French or Germans–I didn’t have the heart to tell him it was all I could do to follow the conversation and his fellow Europeans were probably not unfriendly, just having no idea what he was talking about. I married a Bostonian and we travel to Boston often, and I often hear things on the T that make NO sense to me. For example, one night we were riding home after a Sox game on a night the Celtics had also played, and someone said, “Who’s gunna staht foh Gahhhnit tomorrah?” My husband had to explain to me that they were talking about who would start for Kevin Garnett, who had the next night off. I moved from Rhode Island to rural Michigan while I was in school, and had to radically readjust my own accent to make sure I was even remotely understandable in the new setting. Asking a classmate on the first day where to get a drink of water was pretty entertaining — I thought I was perfectly understandable but I can understand that “Weah’s tha bubblah?” probably sounded like gibberish. The bubblah’s ovah theyah, in tha cawnah. I grew up in the Midwest & after living in the South for years, I picked up a THICK southern accent. It was so thick, my mother had problems understanding me. I still have nightmares about being in Glasgow. I had to ask one shopkeeper to repeat her four times. I said, "I'm so sorry; I'm not used to your accent." He laughed and took it in stride, but it was still really embarrassing. I’m “almost Scottish” (born 20 miles south of the border), and it took me weeks to be able to understand anything anyone said to me when I moved to Glasgow! I do miss the place though – some of the nicest people you’ll ever meet, and a great city to live in. For me the only people harder to understand than Glaswegians are from Belfast. Particularly when they start drinking and telling jokes – which might have been hilarious, but I have *no* idea what they were. I work in IT, and about half of our team is staffed with Indian contractors. The accent could be difficult to understand at first, but trust me, it’ll become second nature after a little bit of time. My husband’s job is the same way. He’s gotten so good with understanding Indian accents that he comes in with me whenever I see our Indian-accented primary care physician to repeat whatever I couldn’t understand. This is interesting. People in my group comment that so and so person covering JAPAC has a thick accent and have a hard time understanding her. So that us what I expected, but I had no trouble at all. Then I realized I was so used to interacting with people from China both at work and in my neighborhood and even my healthcare providers that I had probably gotten used to the accent. I also work in IT and had to work pretty closely with a lot of people of Indian descent, whose English accent was not something I was used to. I hesitate to say that their English accent was incorrect, as I’m not a native speaker either and am much more used to communicating in writing rather than talking. The first time I heard one of our Indian clients talk, I didn’t understand anything. And I had been working with clients from the US for 3 years by then, and had a CAE diploma. What helped me a lot, was being able to ask my colleagues if I didn’t understand something (they had been talking to her longer, so were more used to her accent). They’d generally repeat the exact sentence in English, but slower and trying to imitate her accent as well. I guess people will probably consider the latter incredibly rude, but it helped me immensely when it came to getting used to the way she pronounced certain words. My cousin lived in international dorms at school, and he said the other students liked practicing Spanish with him because he was so clear, and my aunt said it’s because he speaks a word a minute. Slower is always useful! #1 – It sounds like you expect to look for a new job while on the clock. That certainly seems like a red flag. That’s how it came off to me, too. Maybe they were just talking about scheduling interviews, etc, but if you were planning to actually job search on the clock, OP – not a good call, IMO. That’s why I think OP should talk to the boss. We had an employee who we liked but just wasn’t working out, and we had an honest talk with her and told her she could stay for 3 months but to start looking for a new job. We let her use office resources for her search (and she was free to go on interviews during work hours without having to lie about it). We wanted her gone so letting her job hunt during office hours was win-win. We had a temp like this, too. The only downside was that after explaining the situation to her, she seemed to think I was now her personal career counselor & asked me questions about her resume and jobs she was applying for. #1- I’m confused. Why do you feel you don’t have time to job search? Can you spend at least 30 minutes per day searching? Devote some time on your days off to work on your search? I could be wrong, but I assumed OP meant it’s hard to schedule interviews, take quick calls from hiring managers, etc. I definitely wouldn’t advise doing the actual searching while at work, but sometimes it’s hard to interview for 9-5 jobs without needing to take some time from your current job. If OP is already worried about being dismissed, she may be extra worried about having to take sudden time off or run out for a quick “personal” call. This is why I think Allison is dead on. My company has problems with being too nice, like this company. It’s very common for it to come to a transition plan of a couple of months and the company supports the employee pursuing employment. The thing is, OP1 is going to get fired if they don’t get another job. Being proactive is the best plan here. Being proactive is best here. Maybe I’ve been very fortunate but at my last 2 jobs they offered interview times that were before my job started, during lunch for a quick call ( which I took in the car$ or after work. These jobs were in close location to my job location at that time. Maybe the OP1 would be fortunate and have similar luck. She should have a professional-sounding voice mail message where the hiring manager can leave a message, if they aren’t emailing her. They realize that the OP is employed and I doubt anyone is saying, “Well, you didn’t pick up when I first called, so… no interview for you!” a la a certain Seinfeld character. I was once told by an interviewer that the hiring process would take a while because another interviewee couldn’t get time off until the following week. That was actually pretty nice of them, to work with the schedule. It was. Greatly appreciated also. They offered and I was so shocked that both places had offered times around my work schedule. #2 – I was part of a volunteer-based advocacy organization that was big on ending meetings with a pledge or plan of action. Basically, meetings are useless unless people agree to do something productive and be able to discuss outcomes in the next meeting. This held you accountable to your word and made you consider what you were capable of doing in a certain time frame. Granted, it isn’t feasible on a daily basis (more like once or twice a week), but it engages everyone and it could be a fun way to help productivity. It also doesn’t have to be work-related; everyone can pledge something personal (i.e. Joe pledges to mow the lawn over the weekend). I also interned for a small PR firm that liked to do quick game sessions a few times a week (with snacks). It helped boost morale. Everyone had to take turns coordinating a game and often our games were industry related (i.e. A news quiz since PR professionals should be media savvy). Mandatory meetings stink, but I have found there are productive ways to make them work in your favor. I worked in Japan for a long time. Daily morning meetings are a big thing in Japan, but can be a colossal waste of time. It is not all dark though – over communication is more desirable than lack of communication. It is a way to ensure everyone is communicating, but can feel particularly annoying and unproductive if your team already communicates well. 2: I am not familiar with the Lean process, but it sounds like it’s supposed to be a technique to *avoid* having meetings that are longer than necessary. Your meetings are supposed to last “no longer than” 15 minutes, right? Not at least 15 minutes. So just stop them when there’s nothing left to talk about. Yes! This daily time waster sounds like something a Lean project would eliminate. You’re doing Lean wrong! This sounds like an Agile scrum, but in Agile your project is making such daily progress that its useful. Your daily meeting is a waste of time. BTW Zero as in a zero minute meeting is less than 15. Can’t you cancel meetings if you have nothing on the agenda for the day? I totally recommend having someone do an agenda before any meeting and if there isn’t anything on it that can’t be discussed in a quick e-mail between a couple people… cancel the meeting! If you only meet for things that require meetings, suddenly you have more time to get things actually done, and people stop avoiding your meetings because “it’s just a waste of time, nothing happens”. My team has a “scrum” every morning to discuss yesterday, today, blockers etc. Except we’re not working on any projects. It’s all BAU. And the work of some team members only crosses with each other tangentially every now and again. Even with my pretty rudimentary knowledge of Agile it drives the pedant in me crazy every single morning that it’s called a scrum. I think it’s Business As Usual. Now all I can think about is the BAU (Behavioral Analysis Unit) in Criminal Minds, which makes your job sound really cool. Probably not what you were going for haha. That’s EXACTLY what I thought of too–Criminal Minds for the win! This. A daily standup (which I assume this is) is generally supposed to take no MORE than 15 minutes. With my teams that generally means a check-in that takes probably more like 5 minutes, unless there’s a lot of stuff going on. I’m not sure what flavor of “Lean” this company is using, but this has been the case at the last 2 companies I’ve worked for (where we used Scrum and Kanban, respectively). What did we accomplish since the last time we met? What are we planning to accomplish today? Is anything (or anyone) blocking you from getting your work accomplished? In a really fast-paced environment, being able to check in with my teams every day is a huge help. It helps keep everyone on the team aligned. Missed this when I answered below. This is a perfect explanation of how to do this well, and make these meetings something that relieves people and makes them confident they’re communicating what they need to, not make them wince. The point of this is because in a Lean/Agile software environment you are moving so fast that you should have something to discuss every day. If you are not meeting every day in this methodology, things get missed. Tasks are divided up in shorter time increments..such as hours not days. This was my thought too….I’d expect someone following “lean” processes to only have meetings when necessary. Ditto on everyone who said that you’re doing the opposite of what you’re supposed to – lean / agile methodology is supposed to *keep* people from spending time in long meetings with nothing to say. The above often requires no detailed discussion, resulting in a meeting that lasts 5 minutes or less. When it does, it’s usually about whether someone with less work can be helping out on a task that seems to be too much for the one person who’s currently doing it, or about whether someone has the missing knowledge that can help the person complete the task. Any blockers should have a plan for resolution by the end of the meeting, even if it’s just to ping someone external about the issue. The only reason to do this every day instead of weekly or so is to get rid of blockers. It’s possible that certain blockers wouldn’t get brought up with the appropriate person without this check-in. Several times I’ve learned that there’s actually someone on my team who’s much more familiar with the task I’m trying to accomplish than I am, or than the person I thought was the ideal person to ask, and it helps the work get done more quickly. Two jobs ago we had meetings just like this. We did follow-up on outstanding action items, then went around the room asking each person in turn if they had any updates or new issues. If we got around the table in less than 15 minutes, the meeting was over. It did help us get some input from the quieter team members who would never speak up outside the roundtable format. #2) Are you doing it as a standing meeting? Make everyone literally stand, and if there there is nothing to discuss, walk right back out. Yup. My company has management “stand up” meetings twice weekly – they are on the calendar for 30 minutes, and when they literally stood for the whole meeting, they usually wrapped up on time. Then they put a conference table in and now the meetings routinely run 60-90 minutes. I cannot agree more. For making commitments and checking progress against commitments for any kind of lean daily check in. – Meeting is over when you are done statusing and making new commitments and are not part of any kind of bin list discussion. · If that takes only 30 seconds, it only takes 30 seconds. #4 My sympathies. Hearing impairments are tougher to deal with than what most people realise, partially because you burn so much energy trying to understand what people are saying! Since people tend to mimic their counterpart’s manner of speaking, you can try to speak extra slowly and clearly yourself. Also, ask your manager to rephrase instead of repeat. It gives you more information to work with, and it will probably slow her speech down as well. Hearing impairments, for as frustrating as they may be for the person being asked to repeat themselves, are 10x more energy draining and frustrating for the person with the impairment. *I just upgraded my hearing aid and it has made my life SO much better (and my wallet a whole lot lighter). I can’t recommend enough keeping up with the latest in hearing technologies. Dad just got new hearing aids and he’s hearing birds for the first time in 20 years. Being Deaf and reading lips— oh boy… with accents, that’s so hard. if it’s a short conversation I ask them to write it down or email me or call me. for meetings I have an ASL interpreter (thank goodness). Dad is just hard of hearing thanks to 2+ years in the army artillery and a few years of shooting sports. They didn’t do much about hearing protection in the 1950’s and 1960’s. *I have been saying this for 12 years and I really did try once. I didn’t lose my hearing until I was 25. Learning a new language as an adult is hard! It really is. I’ve tried to teach myself ASL before, but didn’t have the self-discipline. I used know a lot of Deaf people and wanted so badly to communicate with them, at least on a basic level. I might try to pick it up again though…I’m sure there are iPad apps I can try. This!! As I mentioned below, I got programmable digital hearing aids a few months ago, and they are so awesome! I have 5 different “programs” for various situations, such as restaurant, watching TV or meetings. I’m still tweaking though because a couple of my settings amplify more than I want, so I’m seeing my audiologist on Monday. Oh, the other awesome part is that they are much more discreet than my old ones. I no longer mind wearing my hair up!!! #4 I too am hearing impaired and have the same issue, after the third time asking someone to repeat, I finally started asking them to spell what I missed. That is even more annoying, but seems to wake folks up to the fact that I cannot hear you in the way you are communicating. I have trouble with high pitched voices, soft ones, talking to me while facing away from me, noises in the background, Asian, Boston and NY accents, fast talkers and on and on. I have a boss who herself is deaf wears hearing aids and when she talks there is no inflection or tone and I have a really hard time hearing her. I don’t expect everyone to accommodate to me, but I do expect the common courtesy of you facing me when we are talking. I also truly do not mind texts or emails as it is so much easier for me. For the longest time, I didn’t even have a phone at my desk at work, which made my coworkers realize really fast that they couldn’t tell customers to call me. I am more than open to email/text/IM and provide a variety of alternative ways of real-time “talking” with me. I do expect everyone who knows about my hearing loss to face me, not cover their mouths, etc. I don’t expect it from strangers, but I am not shy in telling them, which has made things so much easier. I think this is one of those things where it feels super weird and awkward the first time you mention it, but soon it just becomes a no big deal part of who you are. LW, try saying something quick like “Oh, sorry, I have some hearing loss, I need you to face me and speak more slowly, thanks!” using a cheerful, matter-of-fact tone. This isn’t some long, drawn-out discussion of the history of your hearing impairment and all your feelings on it. I have to do the same thing when I’m walking with people or standing at a function or bar, and it took practice to feel comfortable saying “sorry I have a bad leg and I simply cannot walk that fast, you’ll have to slow down” in a nice, friendly, matter-of-fact way. That’s a really good idea. Most people will accommodate you without making a big deal, and for those who don’t, hey, at least now you *know* they’re jerks. This. I’m fine with someone asking me to speak up or face them because how else would I know? It’s not always obvious when someone is wearing hearing aids. Same with the bum leg. If a person is a jerk about it, then wow. I just can’t imagine who would do that. I’ve had short people or people in scooters ask me to fetch something off a high shelf in the grocery store, too. Sure, no problem. As long as you’re polite, I’m happy to do whatever. At least being tall is good for something! I’m a short person who asks this with some frequency. Thank you, Elizabeth and fellow tall people, who have always been nice about this. I am so grateful for my new programmable digital hearing aids. I can set them to one of 5 different programs to fit a given situation. It’s not perfect, but it has helped tremendously in some situations. I have trouble filtering out background noises, though, so I need to find a workaround for that. Ugh, multiple people talking at once during a meeting isn’t just bad news for the hearing impaired! Good for you keeping a handle on that! Asking them to write things out is a good idea! I have a very hard time with Asian accents too. First, be honest about your hearing problem. My mother has severe hearing loss, and when she was working she was afraid to tell anyone. So instead of people being patient and understanding, I’m sure they all just thought she was not paying attention and/or stupid. It probably would have been much better for her just to say something. I’ve worked with hearing impaired people now in my professional life, and it makes life easier for both of us when they just tell me, that way I make sure to speak as clearly as possible and face them in case lip reading helps them out. Indians are frequently native English speakers as well. They just speak with Indian accents. Sorry, I know you’re not the OP, but it bugs me when people on this site write in about having trouble with accents. We live in a plural society. Everyone has an accent to someone else. You’re right that it just takes time to learn someone else’s accent, but to me, someone writing in and saying “I have trouble with understanding a coworker’s accent” is equivalent of saying “I’m 6’4 and have trouble making eye contact with my 4’11 coworker.” The answer really is: get used to it. LF, nice one all around, both the fact that everybody has an accent and the fact that Indians are frequently native English speakers. Monodon didn’t say she was writing about Indians, though; she was just talking about the people she works with. You’re absolutely right Monodon – I am just saying – people have accents even when they are native English speakers. I have to agree, if I heard someone say “my hearing doesn’t handle accents well” it would make me cringe. I would just ask the person “can you say that slower?” Just because you can understand your own regional accent better than other accents it doesn’t mean the other person has an accent and you don’t. Everyone has an accent, and I don’t really get the push back on this question. So many people acting like it’s racist not to understand an accent… especially for OP who has a hearing impairment! It gets embarrassing really fast to keep asking someone to speak slower; I *know* I have an accent and, if I see someone is having trouble understanding something I say, I am very happy to rephrase. (It’s very rarely due to the speed; it’s because I can’t pronounce some sounds very well.) We’re all trying to communicate in order to do our jobs; you can’t ignore the fact that accents to exist and not everyone was born in an environment that included all possible accents in the world. I frequently have problems understanding anyone, when I was little I had a difficult time learning the most basic things in school: reading, writing, etc. It took until almost second grade to figure out I had pretty common hearing issues. (My doctor was pretty oblivious to it all, just kept prescribing antibiotics for my multiple ear infections, seriously when someone has 8+ ear infections/year, there is something wrong). Turns out it was pretty common and solved with tubes in my ears, but it is usually caught earlier, and as such I had some pretty big issues that tend to stick around today, and I’m pretty sure I have some kind of hearing loss. When there’s background noise, my hearing goes down dramatically and I completely dread talking on the phone because I can’t hear/understand anything. Please don’t assume it’s just about the accent, it’s not, it’s about my brain not being fast enough to process what I’m hearing. For example just this morning, when I got off the elevator another co-worker said something, kinda slowly and quickly, but since I was paying more attention to the elevator doors and their noise, it took me probably 30 seconds to process she had said “have a good one”. If she had kept talking, I probably never would have figured out what she said. I don’t know if it was clear from my comment, but I really don’t blame anyone for not understanding me sometimes – I do pronounce things wrong and, while I wish I was perfect, my accent probably won’t improve further without me moving to an English-speaking country. It’s just a fact of life and, at some point, I stopped being embarrassed about it. I was born in the Southern U.S., and had a southern accent, but then moved to Washington state when I was ten, but back to Georgia as a teenager, and completely lost everything (including the automatic ma’am, sir, and yes [I use “yeah” now, which annoys me so much] which I think I mourn the most). So I’m one of those weird individuals with practically no accent whatsoever, and people are always amazed I’m actually from the South. But I have kind of a weird quirk, I tend to pick up people’s accents that I’m used to. So if someone around me, has a Southern accent, I totally start having one. Same goes for other areas I’ve lived in, it’s completely not on purpose and sometimes I don’t even notice I’m doing it. I’m always nervous people will think I’m mocking them. Actually I do that too with regional accents! And I’ve always lived in the same city, so I’m not going back to an accent I once used – I guess I’m just easily influenced! Please don’t assume it’s just about the accent, it’s not, it’s about my brain not being fast enough to process what I’m hearing. Absolutely! And with an unfamiliar accent, your brain has more processing to do. I agree. I think most people use “accent” to mean “accent different than my own” and that people generally understand this use. Not everyone has a good facility with understanding accents different from their own. It is something that most people get better with with time, but I have no doubt that it’s an extra challenge for those with a hearing disability. And for everyone it’s so much harder over the phone. I agree with you that everybody has an accent. I don’t think it follows from that that it’s inappropriate for someone who has difficulty understanding a person with a different accent isn’t allowed to explain to them what the problem is. Especially because if all you say is “can you say that slower” without mentioning your hearing issues or the fact that you have difficulty with their accent in particular, they’re going to find it odd that you never ask your other coworkers to slow down and repeat things. It must be nice for you folks that have good hearing and don’t have to deal with this sort of thing. I wish that you could try to understand what it is like for someone who does not. I agree, I don’t think mentioning the accent will help improve relations with the boss. Trust me, she’s aware that her accent is different than yours! I don’t have a hearing impairment, but I sometimes have trouble absorbing information when it is said to me compared to when it is written down. I think the OP should wait until a time when they aren’t both frustrated with each other and then say: I have a hearing impairment, and I think we are both getting frustrated when I have a hard time hearing you. I want to make sure I understand you, so I might sometimes have to ask you to slow down. Are there other ways we can address this, maybe by communicating more via email instead of talking? And together they can come up with an approach that works for them. That would be my suggestion as well. “can you speak more slowly?” would probably get you the results you require, without the potential for making the boss feel uncomfortable. Referring to an accent (even if she has an accent to your ears) makes the statement sound judgmental, even if it’s not meant that way. I don’t think anyone’s trying to say that they refuse to get used to accents; they’re just asking for advice as to how to get used to them. I understand where you’re coming from, but getting used to an unfamiliar accent does take time. I don’t think anyone is suggesting that the manager with the accent change her accent or that her manner of speaking is wrong. The OP needs advice on how to get by at work until she eventually gets used to it, and in this case the issue is exacerbated by a hearing impairment. I think the manager in this instance would appreciate the OP wanting to improve communication so she can better perform her job, rather than pretending she understands and making mistakes. Well, it’s a legitimate problem, why would we ignore it? Some people are simply not used to other accents, and it IS difficult! They are not saying “wow, this person is inferior for having an accent”. As I said above, native English accents have been more difficult for me than ESL accents… and they are as “correct” as you can get. I had a lot of trouble in the beginning, but now I can understand almost anything, after some practice (hearing various accents). I think you’re thinking of those people who say “I can’t understand” when they mean “I won’t understand and why should I bother?” but that doesn’t appear to me to be the case here. This is not the equivalent of the eye contact thing, because you can force yourself to make eye contact. You can’t force yourself to instantly understand how someone speaks — God knows I’ve tried. You can work at it, yes, but not force it. This person seems to me to be saying, “What can I politely do to help with this situation?” and I don’t really know what else they can do. How do you figure OP isn’t trying to “get used to it?” Before she gets used to it she needs to be able to understand what’s being said – so there has to be an interim solution. And yeah we live in a plural society but some accents are thicker than others. I once stayed with a family in rural Ireland for several days and I honestly thought they were talking in Gaelic to each other and English to me. It turns out it was all English but I couldn’t understand it at all when they spoke to each other because the accents were thicker and they were talking really fast. Literally I couldn’t understand a word of it. It’s not a judgement call that she can’t understand the accent. She can’t understand it, period. That’s not something she’s going to will herself out of. It doesn’t even have to span across countries- I live in the US in the Northeast and sometimes certain Southern or Midwestern accents are hard to understand. I went to a friend’s wedding in Georgia where her family is from and could not understand a word her Grandmother said yet her cousin who grew up 20 minutes from the grandmother I had no problem understanding. But the answer really is: “Get used to it.” As in, take the time and patience to understand, and eventually you will. That is really the most succinct advice one could receive about learning to understand different accents. I think understanding accents I’d different than dealing with people of different heights. Accents are more than just sound – they include grammar, word usuage and inflections. It isn’t a refusal to understand but a need for time to adjust the ear and the brain. If you have never heard a certain accent before, it can sound like a different language (and in the case if Indian vs. American English, it is a completely different dialect). It also has nothing to do with being stranger adverse. DH could understand his Newfoundland grandfather in person but not over the phone. My mother could understand her mother-in-law all the time except when she came back from visiting her sisters in Ireland (which would cause my grandmother’s accent to get thicker). I also want to add that this is not just an English speker issue. My other grandmother was an Alberta Francophone who would tell us about her first week in Quebec when the upstairs neighbour offered her “douche” to my grandfather. Since grandma had never seen a shower until she moved to an English city and had only heard that French word as it applies to women’s products, she thought it was a strange thing to offer to a woman’s husband. Both my grandparents, raised French, had many misunderstandings in the province where they thought they spoke the language. Totally agree on the difficulty of understanding certain accents. I dated a Scottish man for a few months and could understand everything he said in person, but couldn’t make any sense of his accent over the phone. I had trouble just traveling around Romania! I once stayed in a B&B where I simply could not understand the owner – she spoke fast and had an accent I was not used to. Some Southern people in the U.S. drawl so much it’s hard for me to catch every word. Also, we had a teacher in junior high who was from New York and he talked much faster than we were used to in the slower-paced Midwest. We often had to ask him to repeat himself until we got used to it. And per your comment below, some American TV shows have begun subtitling everybody because certain regional accents are really hard to understand. I was a bit worried about this for my trip to Wales. Maybe I’ll find some videos and listen to the accent before I go (yay internet!). I’ve had trouble with it from time to time when watching Torchwood,, simply because I’m more used to an English accent. I’ve noticed the subtitling too. it’s really offensive when they subtitle people who talk with my native accent, yet not those with a Northeastern accent, for example. That’s an example of an accent being judged as inferior..needing to put in subtitles so that “normal” Americans can understand. If you want more practice hearing a Welsh accent, you should watch Gavin and Stacey. Stacey and her friends/family are Welsh, some of which have very thick accents. It’s also a really great show! Last time I traveled to France, I found it very funny that on TV5 (French TV station) they ran French Canadian sitcoms with subtitles. My French is not great, but I can get the gist of a conversation; Quebecois French sounded like a completely different language. I hadn’t realized how different they were! Yes, Quebecois is basically a different dialect than European French! And there are multiple regional Quebecois French accents, too. I can generally understand people in the cities in the south of the province, but when I did a job in the far north with workers from the Abitibi region, I couldn’t understand them at all when they were talking to each other, nor half the time when they were talking to me. I did start to pick up on some of the features of the Abitibi accent while I was there, but I wasn’t there long enough to really understand it. Quebecois is very different from Parisienne French and, in some cases, is pre-revolutionary French. It was also the French of those who emigrated, so think farmers and sailors and hunters and not the higher classes (so, umm, red-neck French?) There are still some remenants of it used today as I learned when the bank teller looked at me like I had two heads when I kept using the textbook word for cents and quarters isntead of “sous.” It is truly a didstinct dialect all its own. And then you head 200 km east and you get the Acadian French and get to try and figure out those accents too. I can understand both Parisian French and Quebecois French just find, though I find Parisian French easier to understand. But Haitian French and Acadian French I have a hard time understanding, even though I speak French. I think all languages have dialects/accents that people who speak the language but not the dialect will have a hard time understanding. I am currently taking Mandarin, and am learning that there are so many different ways to speak it depending on where you’re from, and none of the ways are wrong. I know it’s off-topic, but I just wanted to say that is a hilarious story! My father is Dutch and for _years_ I denied that he had any accent because I literally don’t hear one when I’m talking to him. Then I heard him on tv when I was looking at something else….yep, he’s got a distinct accent. I have the same issue with my dad and grandparents. I don’t hear their Irish or French accents but I gather they can be quite thick. I know, I was speaking more to my situation with accents. I should have been more clear though. Hmm, I replied because I was agreeing with the comment that Indians are often native English speakers. But I must comment that I don’t agree that it is a problem if people write in that they are having difficulties with accents and want to know how to handle it. I also don’t think “get used to it” is the most constructive advice. Yes, familiarity helps, so the OP may “get used to it,” but I also think it’s the responsibility of both sides to make it easier to communicate. The manager has to recognize that saying its tough to understand her doesn’t mean the OP thinks she’s stupid or not speaking correctly, it just means they both need to work on communication. Maybe that means the manager slows down when talking, is patient with the OP and explains things in different ways until they both understand each other. For example, when I first started my new job, I didn’t realize how many American colloquialisms I used when talking and writing. Sometimes my coworkers didn’t get what I was saying, and they just asked me what I meant. It just meant that I had to find another way to say it. I didn’t take it as they were commenting on my language skills, they were just saying they didn’t understand what I was saying. The OP’s manager needs to think of it the same way- she may not be speaking incorrectly, but she is speaking in a way that her employee isn’t understanding her, and that’s a problem for both of them to work on. No, it’s not. It’s the equivalent of saying “I have a hearing difficulty.” It might be better to phrase it as, “The combination of my hearing impairment and an accent I’m not familiar with makes it hard for me to understand you,” but not everybody has perfect hearing. Someone who has difficulty hearing shouldn’t be expected to just “get used to” missing important parts of the conversation until (if) they learn the other person’s accent. The thing is that some accents *are* more pronounced than others, and the farther it is from the generic norm for that country the harder it may be to understand. For example, a generic English accent might be just fine, but a native south London, Birmingham or Glasgow speaker is different. It’s not just how they say words, it’s also the dialect: words are used differently and slang/informal usage can be very confusing. I think you’re railing against something that isn’t going on in this specific situation. Clearly the OP wants helps with this situation, as she wrote into Alison about what to do. Not to pile on since I agree with what other commenters have stated above, but I just wanted to point out that saying we’re a plural society actually works against your argument to “get used to it.” The very fact that we’re a plural society would indicate that one is likely to encounter people with many different accents. It’s not just a matter of getting used to a couple regional accents and then you’re all good. Also, why automatically assume bad faith on the part of others? I know that I’m always pretty embarrassed when I can’t understand someone’s speech and it makes me hyper-aware of not coming off as rude or as if I’m insulting their speaking ability (as my mind is racing trying to process what was said). I haven’t seen a single person here say they don’t want to get used to hearing other accents or that they resent having to do so. The OP is asking for help in doing that and in dealing with her manager meanwhile. That’s perfectly legitimate, and turning it into “get used to a plural society” seems to miss the point of what’s being asked. She’s fine with a plural society (as far as we know). She’s asking for help in a communication issue with her boss. This is also where a boss might follow up discussions with an email hitting on key points. It’s kind of a face-saving move for everyone. I like to follow up in writing too because my memory is crap sometimes when I have a lot going on. Eh, I sort of get his point. Has the op never encountered anyone with an accent? I would assume unless you’re in a particularly rural area you’ve probably had to figure out how to understand people with accents long ago. But it’s not like if you understand one, you understand them all; it takes a while for your brain to map the vocabulary you know onto the pronunciations you’re hearing each time. Throw in the fact that you don’t hear very well, which means you miss a lot of the word clues, and I think it’s perfectly understandable that somebody needs a learning curve when working across a pronunciation variation. I agree with you although I don’t think I know very many people (if anyone) that don’t already know what to do. Most adults have encountered someone with an accent that’s hard to understand. Personally I don’t really see the relevance of the hearing impairment except that I would think he would be even more likely to have dealt with this previously. That is unless the op just isn’t expose to accents in general. Heh. Other people are saying they don’t see the relevance of the accent and you’re saying you don’t see the relevance of the hearing impairment. I get what you’re saying, in that there’s an overlap here–non-hearing impaired people have had trouble across accent differences too. I’d say that the hearing impairment is still significant in the mix, because it makes it less about the other person’s speech and likely changes the adjustment curve (it also could have legal relevance, but we fortunately don’t seem to there), but you’re right, it doesn’t have to exist for this issue to exist. Sure, but it’s a different story when that person is your boss and you need to be able to communicate with them. I am pretty good with most European accents as I have been around them a lot growing up. I have had little experience with most Asian accents and Indian accents are especially hard. Its a cadence thing. Its hard to explain that I just don’t have the rhythm down of certain accents enough for me to ‘catch up’ to what is being said. With the best will in the world, “get used to it” is something my hearing impairment just won’t let me do. My life would be 10 times easier if I could. It’s a genuine problem as the workplace adapts to being a plural society (you’re right, it is) and accommodates more people with problems like mine. Yes, but there a difference between saying: “I have a hearing impediment and it makes it even harder for me to understand my boss because she has ‘an accent'” and (as a commenter above phrased it) “The combination of my hearing impairment and an accent I’m not familiar with makes it hard for me to understand you”. One implies that the boss is to blame for having an accent that does not conform to the local linguistic norm. The other does not. Why are we manufacturing outrage about this? The worst accents I ever had to try to decipher, as a native English speaker, came during a visit to London. “Disa traina souf ken?” was what this kid asked me. I had to process that for several seconds to realize he was asking if the train we were on was going to south Kensington. He was a native English speaker too. Same language, completely incomprehensible. I work with MANY speakers of English with different accents, primarily Senegalese, Nigerian, or Bosnian. It does take time. I can’t imagine how much harder it would be with worse of a hearing loss; I have mild hearing damage in one ear due to a serious ear infection years ago, and if there is background noise, I really have to focus to understand what people are saying. I have a hard time with understanding a strong Irish accent, and have to listen a lot more carefully to get it. They’re just as much a native English speaker as me. I’m also really bad at understand a strong Welsh accent. I’ve watched the show Gavin and Stacey, and sometimes miss some of the things Stacey, who is Welsh, and her Welsh family is saying. Because, at least in the US, there is a racist undertone when people push back against accents. There are sometimes racist undertones when people complain about accents, and there are studies that show people claim to have more difficulty when they think the speaker is a POC. However, this doesn’t seem relevant to the question, since I didn’t read the OP as discriminatory, and they have hearing loss. Hearing loss is difficult already, and I think suggestions about pleasantly asking for slower repetitions are the best bet. I don’t think it makes you culturally insensitive to have difficulty understanding accents very different from your own. “Get used to it” doesn’t seem like very constructive advice. Of course, the OP is going to try to get more familiar with the accent. The question is how to address it while that process is underway, no? I see nothing wrong with asking politely for a repeat. In instances where I am the one not understood, I have no issue trying to accommodate the other person. The hardest time I ever had understanding someone speaking English was over the phone in London, talking to baggage claim at Heathrow. Man, I had to ask for the guy to repeat everything, and we were both native English speakers. And for reference, I speak other languages, having lived in Argentina and Russia. I have real trouble if there’s security glass between me and the person talking at the best of times–throw in a dialect difference and I’m screwed. For some reason, my fiance insists on talking to me from the other room when I’m in the kitchen and I can never hear him, usually because of some device whirring there. I always have to ask him to repeat or just walk in the damned kitchen to talk to me. When I take off my glasses, I can’t hear very well. I don’t have hearing loss, but I think I augment the sound with looking at the mouth and using that additional information for processing what is being said. People laugh when I claim it, but I really don’t hear as well without the glasses. Given the number of buzzwords throw into your daily process it seems like you’re focusing too much on style over substance. The fact that your meetings are supposed to last “no more than 15 minutes” is a pretty big indicator that they’re supposed to be productive and take up the minimum amount of time required. As others have said, just end the meeting whenever you run out of topics, the standing format that PEBCAK suggests is ideal. These types of daily kick-off meetings are a great way to structure the day, get the team up to speed on upcoming project, provide a platform to signal possible issues and so much more. Your only objective for these meetings should be to get the team together and discuss anything that will impact the working day or any of the team’s projects. Suppose that you start off with “As you know guys, Tywin called yesterday about his project so we want to get the intial version of his project delivered by the end of the week. Is everyone on track for this? Do you have any other questions or issues?” If no one speaks up, simply end the meeting right there. You may think that it’s not a real meeting if it’s so short but that’s kind of the point. Depending on the level of formality in your company, this can also be a good place for short announcements of birthdays or marriage or as you say to decide on a team-building event. However it shouldn’t devolve into an open discussion, especially if you realise that only a handful of people are engaging in it. Participants only listen. ABSOLUTELY, DO NOT discuss anything during the meeting. Only listen. If there is someone affected or interested about anything, a discussion between them will take place after the meeting. This way you will make the meetings more dynamic and people will start to get used and see the value in them. I don’t see how meetings become more useful if nothing is being discussed in them, and I hate being talked at or expected to be a passive presence in a meeting. If my job is to just be a passive intake of information, you can just email me, you don’t need me there at all. I also am not seeing how fewer people talking leads to a more dynamic meeting (I can see how it might lead to a more streamlined meeting, if the OP had said that meetings were regularly descending into people talking over each other, but that doesn’t seem to be the problem). I would love further explanation, please, because I don’t understand this comment at all. It may seem counterintuitive, but it’s really true. When we allowed discussion in our daily standup, people would start going off on long conversations of interest to only 2 people, and everyone would tune out. When we cut that out, each person’s update dropped to less than 30 seconds, and everyone paid attention because their turn was coming soon. And then after the meeting, Wakeen, who was actually paying attention, can talk to me about my problem, because he’s used filter widgets before and has some expertise with them. We had a 12 person team, and our meeting would take 5-10 minutes. We booked the room for a full half hour, though, and the remaining 20 minutes were frequently used by a smaller subset of the group to go into more detail on a question — clarifying requirements, looking at a technical issues, deciding what to tackle next. Ahh, okay. When I think of it as “everyone taking a turn to briefly update the group on their current project” rather than as discussion vs not discussion it comes clearer. Thank you. Also, to add to this: the expectation isn’t that anyone is a passive presence in this kind of scenario. Everyone will give their update during the meeting. It’s just that you don’t talk during other people’s updates or discuss their issues until afterwards. It’s like there’s an imaginary speaking stick that moves from person to person, and no one can talk while anyone else has the stick. Very counter intuitive… the key principle of any kind of lean check in is just to check in. The simple act of listening will make it abundantly clear who is waiting on information you provide, who you are waiting on to provide information, and you need to coordinate with that day. THAT, not adjudication of those issues, is the point of the daily check in. Arrive, make the coordination/commitments known as KireinaHito indicates, and then move on. Yep, this. My team does a round-table style standup meeting like this and it’s really useful. We get a sense of what projects everyone’s working on, which helps us identify places where our projects cross over and where collaboration might make sense. It also gives us daily insights into who’s responsible for what, who’s good at what, who has white space for new projects, who might need help, who’s traveling, who’s hiring, and even who has personal drama going on and might need a little extra space and/or empathy. It’s quick and very useful. And then, like you say, at the informal meetings AFTER the meeting, discussions can flow. We have been trying to get this established for our department, but it’s been of limited use so far. I think some of it is unavoidable–even though our department is fairly small, I’d say only a few of us actually have jobs that involve the other people, so a lot of the info people give out is not all that relevant to most of the group. Ugh, I hate that. If it’s not relevant to everybody, have a separate discussion. #1 Make yourself your number 1# priority. Your current job is obviously not for you. Schedule some time off and use your lunch to search. I find that sort of passive/aggressive behavior “asking you if your job is right for you” signals they will not be open to a transition period, but rather use your acknowledgment as an easy out. Just keep doing your job and look for a new one! OP 1: I had this happen to me a few months ago. I handled it well (thanks to a comment on an old AAM post that I can’t find the link for at the moment) and landed on my feet with a job I am much better at and which I enjoy more. I took a serious look at my own performance and realized it was unlikely I would be able to recover and perform at the level they expected in a time frame they would be happy with. I asked for a meeting and explained that I didn’t think the job was a good fit for either of us and that I wasn’t convinced that either side would be able to adjust and change enough for the match to work. I suggested we begin a transitioning-out process, with a notice period of about 5 weeks. There were a lot of issues with this job, and I was a bit afraid that they could say “nope, 2 weeks, bye”, but they didn’t and although it was uncomfortable, it was enough for me to find another gig. Do you have a trusted co-worker you could run a plan by? Whatever you do, don’t get defensive (even if it really isn’t your fault, it doesn’t make a damned bit of difference to the outcome), don’t burn any bridges, and don’t stick your head in the sand. It is gutting to find out that you are not what the company wants, but it is not the end of the world. I wish you the best of luck and hope for a positive update down the road. Can I ask how you managed to maintain the positive, confident frame of mind you need to job-seek successfully in the wake of this conversation with your manager? I’d think it would be tough not to internalize the negative from your existing gig and carry that with you into the job-seeking process. How did you go forward with a good attitude? Do you need a “positive, confident frame of mind” to job-hunt? How about “I’m clearly about to be fired, perhaps I should work better at my current job, or look for a new job NOW, attitude be damned”. Lots of people don’t want to fire people and are happy when it gets sorted without that. I had an insubordinate secretary whom I wanted to fire and would have but if I did she would not be able to work elsewhere in the organization. I sat down with her and told her I was planning to fire her but would give her two weeks to effect a transfer which she was able to do. People who are asking about ‘fit’ may be inclined to try to accomplish the process without actually firing the OP and it might be worth risking asking for such a transition. This is a great comment. Congratulations on your new job! The OP could go around the room and have everyone discuss these three. It would definitely be food for thought and get away from agenda-less meandering conversations. I’ve used that format before and it’s quite useful and good at keeping easily distracted coworkers focused on their objectives. It’s called a daily scrum meeting by the way. I imagine it gets less useful the more people are in the team though and is only relevant if all participants in the meeting have a stake in what every other participant is doing. So if you have a team of 9 with 4 people working on Project X and 5 on Project Y those would be seperate scrum teams and have their own meetings. While true these meetings seem to be modeled on a scrum, it doesn’t sound like these Lean meetings are for an Agile project. We are to review any new Just Do Its that have been submitted and follow up on old ones. We have 9 people in my department and we are average about 4 Just Do It’s a month. What did I do yesterday on a Just Do It? What am I going to do today a Just Do It? Are there any impediments in my way to resolving this Just Do It? If there’s no Just Do Its to be worked on then the meetings will end fast. Can I ask what on Earth all these terms mean? I’ve been Googling like crazy on them myself. This is clearly a very different work world than mine. Yeah, this is reminding me of the time I learned that Six Sigma was real and not something they made up to mock corporate jargon on 30 Rock. It’s programming lingo. Traditional project management doesn’t work for writing computer code, so they’ve been inventing new processes over the last few years. “Agile” and “lean” are a couple of them, and are interrelated. Lean actually comes from the manufacture sector. It started in Toyota in Japan. Agile took some of the principles from Lean into programming. From and Engineer and Programmer who has done both. Lean is based on the Toyota manufacturing method – just in time. Eliminating waste, finding where gaps are in your performance, brainstorming the root cause and coming up with ideas to close the gaps. That is a really simplistic explanation; the book Managing to Learn (by Shook) is a good read if you are ever interviewing with a company that uses Lean. Our group of 12 used to have daily huddles in which we would basically figure out who was in the office and if anyone had any issues they needed assistance with. Sometimes our medical director would use it as a venue for a monologue, which is NOT the purpose of the daily huddle. It was promoted a lot in various business/cost accounting courses back in school, although mainly in a traditional manufacturing setting–the idea was to have very little “stock” in inventory and to produce the exact or near exact amount needed to reduce carrying and other costs. I’m always interested in how people apply the concepts to other environments. Our Quality Improvement person is underdoing Six Sigma training right now, although I’m really curious how it will relate to our workplace. 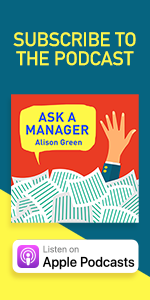 #1 – sounds like the manager is concerned that you haven’t gotten the hint. She’d probably be relieved to know that you heard her loud and clear and are looking for a new job. I really wish that managers wouldn’t hint about something this important, though. If my job is on the line, please just tell me instead of asking me gentle questions about whether or not this job is for me. Oh, I definitely agree. But, you know, managers are people and some people are bad at confrontation. #5 – This may also depend on your employment contract (if you have one). At my previous job my employment contract had severance/termination/resignation notices and payments spelled out specifically. The Coles Notes version: “notice of two weeks required [by either party]; or payment equal to two weeks in lieu of time worked”. In this scenario, if I gave two week’s notice but my employer wanted me gone immediately they would pay me two weeks and kick me out that same day. However, my current employment contract is “at will” – which means that if I give two weeks notice, but my employer wants me gone immediately, then can kick me to the door that day and not pay me a penny more. Hope this is helpful. Cheers. Many employers do spell out the procedure for resignation or termination in the offer letter, though. However, they can also adjust and adapt the procedure as needed. I was in a similar situation and they actually agreed to keep me on the payroll a few extra days [beyond the severance period] in order for me to be able to qualify for the experience requirement for my CPA license. It might also be covered in the employee handbook. My company’s handbook says that if a worker gives notice, they can let the employee go sooner but they will pay out 2 weeks notice, no matter how much notice was given. Meaning if you give 2 weeks notice, work a week more and then they tell you not to come back, you get another week’s pay. If you give 4 weeks notice and they tell you to leave immediately, you get 2 week’s pay. I guess if you gave less than two week’s notice they probably wouldn’t pay the full 2 weeks to be rid of you, but I’d have to go back to the employee handbook and check on that. First, it generally goes against ‘being lean’ if you are being forced to have a daily meeting that occupies everyone’s time, whereas there was no similar meeting before. Secondly, I’m pretty sure that this ‘lean’ group has moved onto other things, and if the OP just stopped having this meeting, not only would there likely not be any push-back, nobody would notice. Reading this whole thing made me shudder. I already loathe “we have to have this meeting every week” where I work without having something like this where it sounds like most of the time there’s nothing to say, but everyone forced to go is being harassed to speak up. It sounds like a total waste. I don’t know what Lean is, but it has nothing to do with Lean In. Lean=waste reduction, originally from the manufacturing industry, but also applied to the business services industry. Look at Wikipedia’s Lean Six Sigma entry. I would like to applaud OP #3 for using “infelicitous” and teaching me a new word. Yes, asking your boss to slow down should help. I wear bilateral hearing aids, and my boss, who doesn’t have an accent but speaks quickly, has slowed down quite a bit when speaking to me after he realized I had difficulty understanding him. I’m with this because while you aren’t required to do anything, I think it’s a thoughtful gesture to help someone improve. Just putting myself in this guy shoes, if there’s something I can improve on, I want to know about it. Also, if this does continue on, eventually someone will tell him but it will come up on the online review where everyone can see it. So better to address it before the whole world has to see it online. We got a similar request from our real estate agent. We had mixed feelings about her work and in particular feel we got really bad advice that cost us a lot in how much we paid for our new place. We just ignored the request and have never received another. I do the same with other on line reviewing; I don’t hesitate to give a hotel or restaurant a bad review but when we had a bad experience with a French apartment (no hot water for a week) I just let it go because the people did the best they could to resolve it and did offer us some compensation and I didn’t want to ding them. One is never obligated to review. It sounds like you’re already doing this but if you(or anyone else is) is not, when you have a bad experience at a hotel or restaurant, please talk to the manager before writing an online review. Corporate watches these reviews very closely and when there is a bad one, they get in A LOT of trouble. Corproate will jump on the managers, demanding to know how they handled it and they are often not aware that anything was wrong. If you try to talk to them and they are still jerks and you’re aren’t satisfied then feel more than free to do it though! I think for me the interesting question is whether the agent is really asking for feedback or help in advertising. I suspect the latter – he probably doesn’t expect a negative review if he is asking to have it made available to members of the public seeking an agent. If the OP wants to offer feedback, there are some good suggestions here. I don’t feel any obligation to offer advertising assistance with my payment. If he pressed me for a review, I would type it up and submit it to him privately. I would ask him if this is what he wants on his online link. It lets him see the points you have to make, without everyone else seeing it as well. Maybe one of the things he needs to do in growing his business is seeking active feedback rather than a blanket ask for promotion. Since all you can rate him on is how it went for you, I think you can safely tell him that you want to see him get good reviews and this is how you felt you could help him with moving into a new market niche. I’m liking this idea. Part of what would bug me here is that this request is “please advertise for me” rather than “please tell me how I might improve,” and your idea helps move it back to the latter. I agree with this. Just putting a poor review out there doesn’t help (especially since people are often not specific about why they didn’t like the service) and can jack with their metrics on ratings, etc. And these days, people are actually getting into trouble or LEGAL trouble for leaving bad reviews anywhere these days. I wouldn’t risk it. Legal trouble though only happens when you lie. Telling the truth about your experience and not in a defamatory way is legal. Yeah, that’s why I suggested a sit-down conversation. I think that’s the best way to say what you need to say. Or, a letter sent directly to the guy if the OP doesn’t feel he can have the awkward conversation. #5 I realise this is a US-centric discussion but overseas what you have said often holds true. In the UK, where notice periods of up to three months are common, “Gardening Leave” is one of the great perks of switching jobs. Usually this means you are not allowed to do other work (i.e. your new job) and are technically available if they ask you to be (hence gardening leave because you can’t really travel) but generally they don’t want you in the office. Wow, what an amazing concept! I have never heard of anything like that here. New concept for me as well. Are you paid during Gardening Leave? Yes, paid full salary and benefits. You are in all respects still an employee of the company that put you on “Gardening Leave” except that they don’t require you to work (and often specifically forbid it). It’s most common in roles/industries where you could potentially poach clients or steal strategy. I should also say that it is much harder to fire someone so putting them on paid leave until the end of their notice period is usually easier than trying to fire them and then efending against a wrongful termination case. I used the same real estate agent that my parents had used when they lived in the DC area. When I met up with her the first thing she said was “OMG you’ve gained so much weight” which literally left me speechless and sputtering. I figured I’d cut her some slack and let it slide. She ended up being really tactless and awkward the entire time. The condo I ended up buying was being sold by a very pregnant woman who needed more space. It was REALLY clear to me there wasn’t a man in the picture, and my real estate agent kept saying things like “so is your husband excited about the new house” to her. She was so awkward. Most of the experience was really cringeworthy. She did a good job with the details of the transaction but I wouldnt’ work with her again because of her severe foot-in-mouth syndrome. Oh WOW. She sounds like a sitcom character! I’m the person from the #1 question, thank you for the thoughts. I’m not in a great situation by the sounds of it. First, regarding the job search – I’m not using company time for an all out search, but occasionally do need to take a call or (hopefully) go on an interview. This isn’t easy in the current, very close, very micromanaged environment. Even taking time off raises red flags. This is not something that will happen in 2 or 4 weeks. I need more time. I will need to leave my job, I work for a very small office. So in the short term, I need to figure out how to answer her question and frame the conversation with my manager so that I can be successful, and I can move from here to a better place. I’m trying to put emphasis on work product and demonstrate through my actions that I’m up to it. But within the conversation itself, if I acknowledge that the job isn’t quite right for me – is that better or worse? As AAM says in her reply in the post, it depends on your manager. You’d have to be the judge of whether that is a risk or not based on your knowledge of the manager in question. If you are unsure, AAM’s suggested wording is your best bet. Wow, that sounds like a tough spot to be in. I don’t know what kind of relationship with your manager you have and whether you’ve received specific negative feedback that more clearly frames this “is this the right job for you” question. If you have, disregard what I’m about to write. If it’s not clear exactly where this question is coming from, you could choose to interpret it charitably and ask your manager some follow-up questions, e.g., “You’ve asked me that a few times now, and I’m curious what you’re getting at. Is there a job you do think would be the ‘right job’ for someone like me? Are there some specific things I could work on to make sure I’m the right PERSON for the job I’m doing now?” Maybe such an opening could lead to a productive conversation with some actionable feedback. I agree that it could be useful to know where the comment is coming from. It could stem from performance issues, perceived lack of passion, a conniving co-worker, the opening of another position, changing job needs, etc. My money is on one of the first two, but you never know. If you feel like you’re being cornered by your boss (like she’s trying to get you to admit that you don’t like your job so she can use it against you later) then I would put on a good show of cheerfully doing my best. Smiling and admitting where I’m falling short, but saying things like I’m confident I’ll be up to task soon. If it’s a bad fit, you and the manager both know it. Her asking can only be motivated by, 1.) concern for you because she knows you will be let go, or 2,) a hope that you’ll say how you really feel and then she can take it higher up as proof that they need to start looking for your replacement. The only side of this that you have control over is how you work, and if you have soft-hearted employers an “I’m really trying here!” attitude could save you for another couple of months. Admit nothing, and widen your job search for lateral moves. You need to get out. 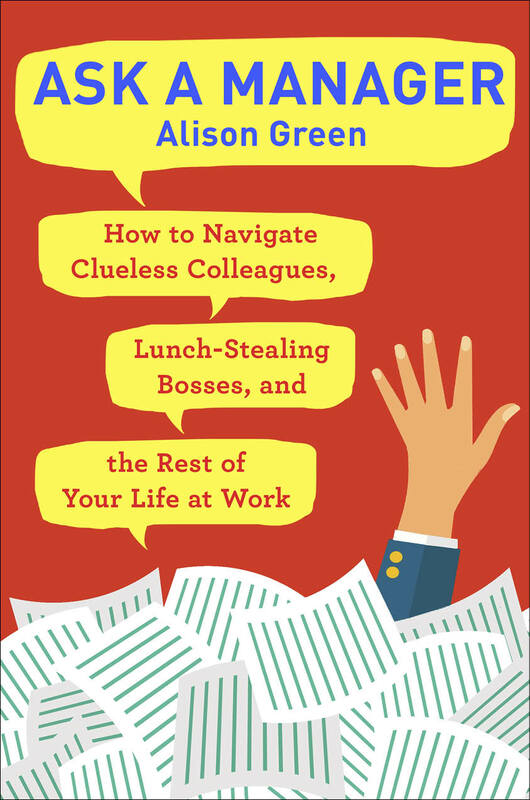 If you don’t feel like you can judge whether or not your boss will let you go immediately if you admit this job isn’t for you, I would white lie in the phrasing Alison suggested. Regarding taking the time to answer calls from hiring managers, I would have them leave a voice mail and return the call on your next break. Employers understand candidates can’t always chat right then and there. As for getting time off for an interview, you can just say you have “an appointment”. Lastly, I agree with Alison that you are being pushed out. I really hope that doesn’t happen before you have something lined up, but in case it does, start adjusting your finances now just in case: no big purchases, cut back on spending, etc. Good luck, I hope you can get out soon. RThis is just my opinion- you know your office so it might be different- It sounds like the boss is asking you this because she wants you to walk away on your own. Do you see a transition period of you continuing to work while you job search a realistic option in your office? In my office, that would be unheard of so for me, I would lie through my teeth about being dedicated to making the job work. Like C Average mentioned, have you asked for direct feedback as to what isn’t working? If not, start there. If you have gotten direct feedback and it’s just not working, I would re-affirm my commitment to working hard to make the job work. It looks like the chances of you avoiding getting the ax eventually are slim. If you admit the job isn’t working, you’ll either get axed right away or get put on a transition plan where you may or may not have a job at the end. If you commit to getting better, maybe you WILL get better enough to stay until you find something else. If you commit to getting better and they tell you ‘never mind you’re out anyway’, maybe you can then work out a transition plan then. But the way I see it is either way, chances are you’ll be out of there eventually so might as well give yourself as much time as possible so you can hopefully have a new job lined up before! Also (full disclosure- I know nothing about unemployment) but if you do admit it’s not the right fit, that might disqualify you from unemployment if they do fire you. Yeah, I would absolutely not admit that this “isn’t the right fit” unless you’re ready to leave immediately or soon. Being that honest is more likely to shoot yourself in the foot. 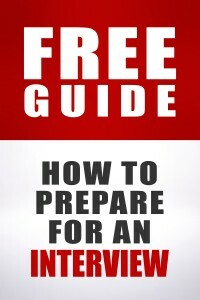 Say that you will do your best to MAKE yourself fit instead–while job hunting, etc. However, be careful relying on unemployment when you work in the non-profit sector. If you work at a small non-profit that has fewer than 4 employees you may not qualify for unemployment. I found that out the hard way after being fired from a non-profit. Come to find out they deliberately keep their staff at 3 to maintain their unemployment exemption. Are you sure that’s correct? I suppose it’s possible there’s some state that does it that way, but in every state I know of, there’s no exemption for small employers. #2 – sounds like your company doesn’t understand the purpose of a “stand up” meeting. I used to work in a manufacturing environment, and we had a daily standup that had a set agenda each day – what did we need to produce, what did we produce yesterday, what changes/issues are upcoming, reports on safety and R&D if necessary. If there wasn’t anything to report on certain agenda items, they were skipped. The point of a stand-up isn’t to have the meeting for the meeting’s sake, it’s to communicate important information that everyone needs that day or shift. Communicate it and then break – if you only have 2 mins of talking, then you’re done and everyone can disperse. I wonder if this is one of those situations where a company is “embracing” Lean because they hear it’s hot right now but don’t actually have any understanding of how to apply it to their company and processes. It seems like a lot of companies just jumped on the bandwagon without evaluating how it would work for them or what benefit it would bring. Not every work environment needs a daily standup meeting. #3 – Real estate is a tough business. To be a successful agent you have to be really good at a lot of things. You have to be personable and good at marketing yourself, talking up people, etc., AND you also have to be great at the paperwork – focused on details and organized. And smart negotiating is a skill that takes a long time to master. I’m a real estate paralegal and I work with a lot of agents everyday. Many are uneducated and under-trained; to be a licensed agent in my state the only requirement is that you take and pass the licensing course. There’s no requirement that you even have a high school diploma. I think you’re being a little too harsh on your agent – if at the end of the day you’re happy with the house you bought and you don’t feel like you overpaid or were defrauded, let it go. I would just ignore the request and move on. Next time, do your research and choose an agent that is very experienced and highly recommended. I disagree with “being too harsh.” I think the OP’s expectations sound reasonable. It sounds like you’re saying that since so many realtors are poor at their jobs that the OP should be happy with what she got, and I can’t accept that. I doubt I’d bother to write a review in such a case, but I think the OP’s judgment seems fair–she paid a substantial commission and got substandard service that meant her buying process was harder than it needed to be. Actually, buyers pay zero commission to their agent; the seller pays the full commission for both the listing and selling agent (at least, that’s how it works in my state). I agree that substandard service made the OPs experience more difficult than necessary, but what I was saying was that in my experience that’s just how the real estate field is. It’s full of agents who aren’t fully trained in ALL aspects of the process. If the OPs agent did a decent job in some aspects but not others, I think we agree that the OP shouldn’t leave a negative review. In my state, buyers pay commission to the buyer’s agent. And no, we don’t agree that a decent job in some aspects but not others means no review. I said I probably wouldn’t bother, but that’s not because I think it’s unfair, more because I really resent being pushed to review in the first place. I think it would be perfectly fair to say the agent did X well but Y poorly and rate her accordingly. That’s what reviewing means–you don’t only review if all you can say is glowing stuff, because that’s not a review but a promo piece. And it’s not that, it’s a review of her performance. If what the OP wrote was true, it’s utterly fair to say. If the agent was really interested in knowing whether she performed satisfactorily, she’d ask the OP that privately rather than send her off for free publicity. I feel like you’re contradicting yourself here, actually. If it’s a really hard business and a lot of sub-par people end up in it anyone, then isn’t it in everyone’s interest to really reward the good ones and not reward the less-than-good ones? #3 – Real estate agents survive on referrals, online or otherwise. If you are not going to refer or recommend him to anyone, regardless of format, please give him the courtesy of telling him why so he can learn from it and improve. #4 – I completely sympathize. I am very hearing impaired and had a manager who was German. In some cases, I find that I actually understand non-American English better because Americans are so lazy with our words (myself included). The biggest thing that helps me is to speak to people in the same way I wish to be spoken to – slowly and clearly, sometimes with extra emphasis. I find that when people know I’m hearing impaired and I do this, they get the message pretty quickly. if they don’t, I flat out tell them, “I’m sorry, but I need you to slow down your speech”. If worse comes to worse, I ask them to spell the words I’m not getting, or find a synonym, or just plain write things down. Yes, it’s frustrating for both parties, but it’s more important that you don’t miss what it being said (assuming your manager is saying important things to you). I almost always follow up all my conversations with a recap email as well, both for a written record for both parties and so they have the opportunity to correct me if I missed something. me either! nice to see everyone! #5) Is one of those “laws” that people think exists, that in reality, does not. Sometimes in my company when someone gives two weeks, their manager will tell them that they only need a week, or a few days, etc… especially in our sales department where someone isn’t going to be doing any selling during those 2 weeks, but may need a few days to fill their manager in on any deals they are working on. In these cases, the employees almost always come to me citing this “law” that we need to pay them because they offered the two weeks. Unfortunately, it isn’t our policy to do so and I am not in a position to change it. My personal opinion is that we should pay them for that time just because it is the courteous thing to do, sadly our executive management team does not agree with me. I hope you’re pointing out that they’re encouraging people to give little, if any notice and creating resentment among the co workers who see employees trying to do the right thing and getting shafted. Might be worth it put some numbers to the business impact of it. I know you said you’re not in a position to change it, but being in HR you absolutely are in a position to change it by influencing the right people with feedback and data. I have certainly tried giving my feedback, but like I said, the executive team doesn’t agree. Luckily, this is only the case in a few departments. Most of the manager’s allow their team members to work their 2 weeks. #2 – Don’t rotate responsibilities, give each of them an ownership area and let them keep it. Investing yourself in an issue is difficult if it’s going to be someone else’s problem next week. Each area needs to have at least one metric, with a goal that is challenging but attainable, and they need to report on performance and on reasons for misses. Collecting and analyzing data is key. When their area is below goal, there should be a brief discussion around why, and what is being done to correct it if it’s something that might repeat. You should be reporting on solutions, not finding them, so take brainstorming sessions offline. If performance is at goal, just a one-sentence statement on performance is all that’s needed. Consider assigning two metrics – one for performance, and a leading indicator to help identify potential problems that haven’t happened yet, best tied to your most common trouble spots (so you’re putting the focus on preventing problems, not just reporting on what problems already happened.) Ask them leading questions about what’s going on in their area, and assign projects to target the biggest issues. Example – I own backorders for my team. Every morning I spend 15 minutes reviewing backorders from yesterday and assigning a reason code for every backorder for my functional group (with input from others as needed, but I own the review process). I have a list of standard reason codes with definitions that 99% of backorders fit into, with an “other” category for the outliers. I have a target for backorders – five or less per day. In the meeting I touch on yesterday’s backorders, and I provide brief updates on any activities ongoing to reduce backorders. I don’t have to do all the work myself, but I’m expected to crusade for the cause. I’m empowered to challenge anyone and everyone on problems in their areas that might be regularly contributing to backorder issues. Participating in the overall process – it is SO MUCH MORE than the meeting – is part of my goals and tied to my performance review. I’m sorry if this comes off as crabby and kind of mean, but I don’t understand how #3 applies to the theme of this blog. How does writing an online review apply to management/workplace issues? Please explain it to me, if you see the connection. You’ve contracted with someone to do work for you and now a situation arising from that is giving you pause. Seems work-related to me. OP # 5: My former employer reacted badly when I gave them 2 week notice. My manager and I had an ugly fight. He called me into his office and tried to make me feel guilty and asked me to give them 4 or 3 weeks. I could not because I’ve already accepted the new job and expected to start in 2 weeks. He then verbally abused me and I had to leave his office. This was not the first he bullied and verbally abused me and I reported to his manager once before and was told cut it out. At the end, he apologized for his behavior. Then I went ahead and reported to the HR, verbally however (I should have gaven the HR a written report). The following day he came to my cubicle with a list of instructions basically trying to make my 2 week stay a hell! We got into a heated argument and I had to stand up and told him get the HELL out of my cube. By now, we were so close that I could smell a whiff of an alcohol in his breath. Once I threw him out of my cube and he was standing outside of my cubicle, I sat down, turned my back to him and started working. After that, I’m not sure what happened but I believe the HR told my manager and his manager that I have already reported his behavior to them. The follwoing day, my manager and his manager set up a meeting with me, apologized for what had happened, told me they will pay me for the next 2 weeks, and the remainder of my PTO but I will have to leave today. We put this in written and that was end of it. There are so many people out of work and underutilized. It makes me so frustrated that this kind of behavior is allowed to continue. Grr. I hope the job you went to after this one was much better! OP#2 – We’ve recent had our management “see the light” and “embrace lean” and have similar 15 minute check ins as you describe. We often don’t enough people or work to fill all 15 minutes, so here is my advice. If it takes 30 seconds to status, make new commitments, and close done commitments, then it is a 30 second meeting. Seriously. If you get flack from your management, then they are missing the point of lean and will need to be educated. This may cause you some grief, but as the individual running the lean check ins, it is your job to shield your folks from your uneducated management. If they question the efficacy of a meeting that starts, statuses, and makes new commitments in 30 seconds, then they should show up and be part of the meeting to become educated. If concerns arise that are a greater discussion beyond making and keeping commitments, then we use what we call the bin list. An item gets binned, then those who are interested stay after and discuss. As to the part about getting folks to engage, it is important to know why they are engaged. If I had to guess it is one of these four: they don’t care, they don’t have any commitments to status or make, they don’t understand the process, or they aren’t comfortable with their coworkers. Lack of understanding and comfort with coworkers comes with time. Lack of commitments means they don’t have commitments to do, and those who don’t care either need to be made to care, or won’t participate. Figure out which one people belong to, and see what you can do to fix it. I had a reply building in my head as I read the letter. Then I read my words in Alison’s response. This is why I love reading AAM. #3: I would say that “we’re not really big online reviewers” doesn’t cut it in this situation given that the agent gave the gift of the cutting board. I think the point of that gift was “I know that writing an online review is going to take a little time and hassle on your part, so here is a gift in recognition of that”. So if you basically say “nope, can’t be bothered to spend 5 minutes of my time” then you come across as the bad guy, when really the situation is that you are trying to avoid being a bad guy and harming this agent’s reputation. I think if he directly asks you to write the review, then you explain politely what the problems were and why your review wouldn’t be 100% positive. I don’t think that’s what the gift is — both times I’ve bought a place, the real estate agent gave me a housewarming gift. I think that’s just part of how many of them operate. Yes, it is indeed a part of how many of them operate. I have friends in the business and they generally do give a housewarming gift of some kind. It’s not a quid pro quo kind of thing generally speaking. Yes, our last agent gave a map book of the region, which was very helpful (this was in the early 1990s). I think one time we got cookies; the other two times, nothing. Then there was the manager of our second real estate agent, who called us after we’d moved in and asked us to lie about the toilet being broken so the seller’s son, an attorney who did the closing for his mom, could lie to the city and claim the water meter was wrong. We said no, and didn’t list the house with them when we were transferred. Oh holy crap that is ridiculous. Amazing what people think you will help them do. I guess some people might have done that, but you’ve got more of a chance of finding someone who won’t so it’s incredible that they would even broach that. UGH. #3 — Online review for real estate agent: If you don’t want to do a review, read the review site’s terms of service and look for a reason not to put anything on it. For instance, if it says any commenter who posts something is responsible for hiring a lawyer if there’s litigation, just say you don’t do reviews when the terms of service don’t protect the reviewer (because you never know when someone will sue for some asinine reason even if your friend the agent says he won’t). I once got an invitation to put a review on a catalog site, read the terms of service for a lark, and discovered, basically, that if a manufacturer didn’t like my bad review on the retailer’s site, they could sue and I would have to pay the entire legal bill. No, I wasn’t going there. And I don’t particularly trust any of the reviews on that site. Negotiation — was your agent paid by you to find a house for you, as in some states where you can hire a buyer’s agent? If not, then the local convention may be that the agent is representing the sellers and is obligated to obtain the best deal for the seller, not for the buyer, which would explain why the agent was revealing information. It’s best to clarify this when you first start working with an agent. This can be particularly tricky if you negotiate the purchase of a property listed by the agent’s own agency. Did you sign any kind of a contract to retain the agent you dealt with and agree to pay your agent, or did you only sign offers on specific property you were interested in purchasing? If you signed to retain the agent, look at that contract to see what the agent was promising; if you only signed offers, then the agent might have been obligated to serve the seller’s best interests, no matter who pays the commission. Find out what local law AND local convention is, then give your agent some private feedback if you want to.